Explanation: On planet Earth, an analemma is the figure-8 loop you get when you mark the position of the Sun at the same time each day throughout the year. 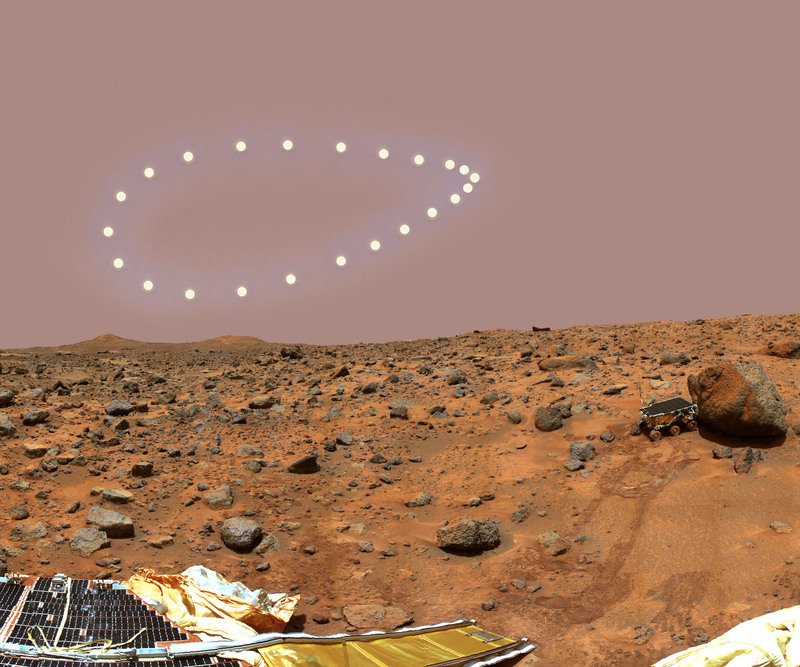 But similarly marking the position of the Sun in the Martian sky would produce the simpler, stretched pear shape in this digital illustration, based on the Mars Pathfinder project's famous Presidential Panorama view from the surface. 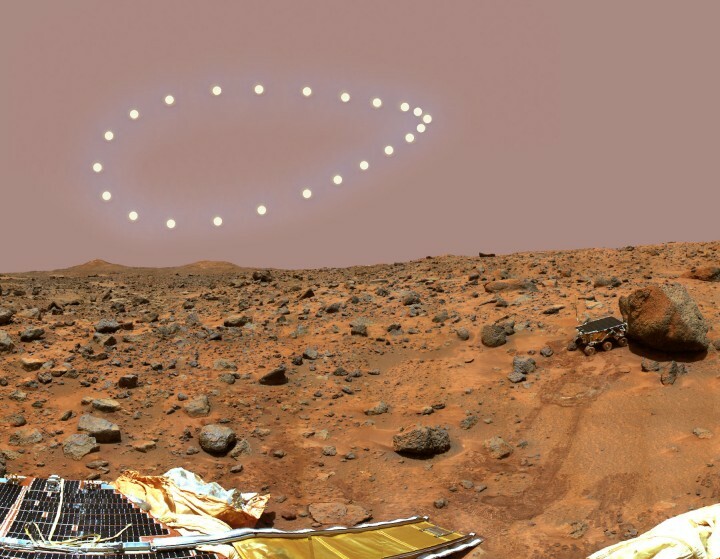 The simulation shows the late afternoon Sun that would have been seen from the Sagan Memorial Station once every 30 Martian days (sols) beginning on Pathfinder's Sol 24 (July 29, 1997). Slightly less bright, the simulated Sun is only about two thirds the size as seen from Earth, while the Martian dust, responsible for the reddish sky of Mars, also scatters some blue light around the solar disk.